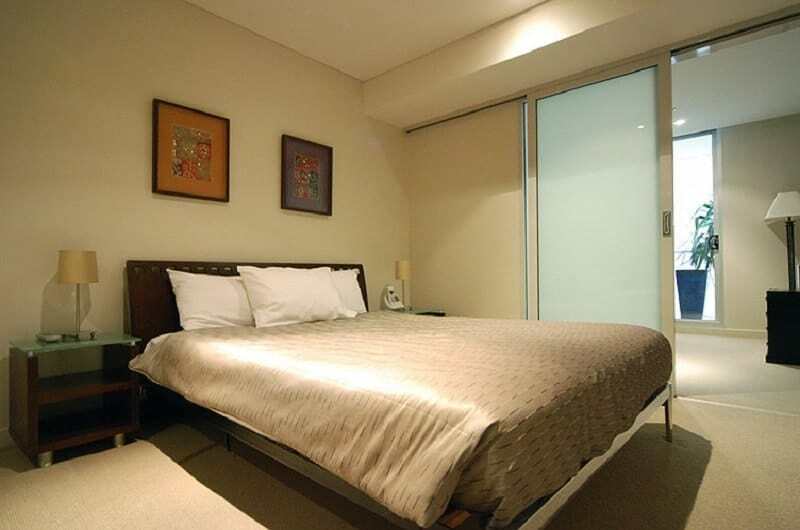 Situated on Adelaide’s famous North Terrace and directly opposite the Adelaide Convention Centre. 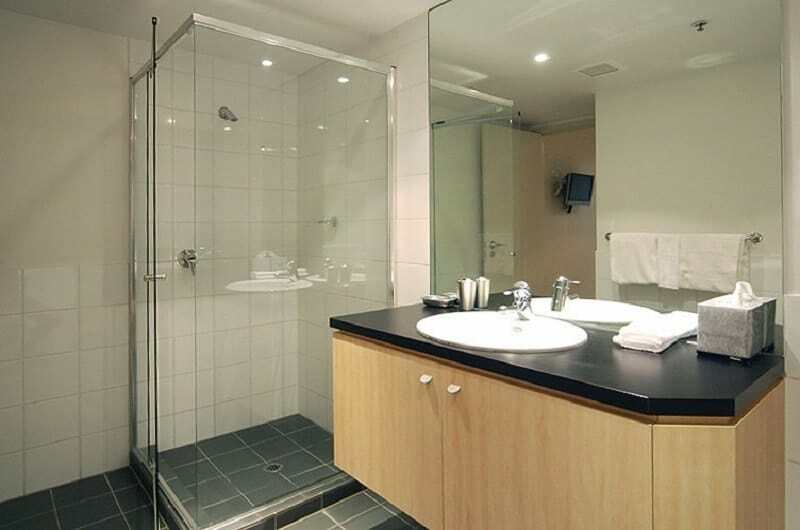 Within metres of the Adelaide Casino Walk to Rundle Mall, and Adelaide’s café and restaurant centres. 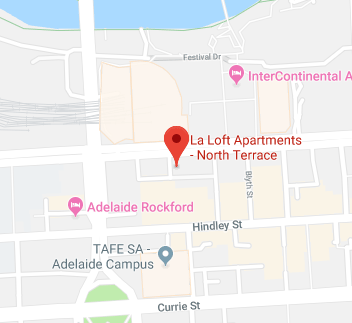 Positioned adjacent entertainment venues such as the Adelaide Festival Centre, our North Terrace location provides fully furnished apartments amongst an exciting blend of cultural, business and entertainment diversity in the heart of Adelaide. 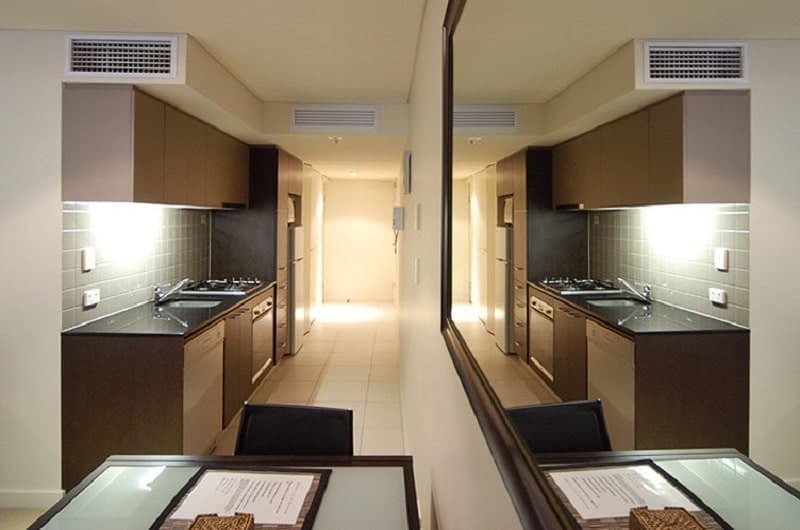 Fully furnished and fully equipped, kitchen with stainless steel appliances, dishwasher, microwave. Private balcony. Floor to ceiling windows. Resort style facilities, heated lap pool, spa, sauna and gym. Secure building and car park.